Sometimes we just need to stop and look UP to the sky once in awhile! An easy stress-reliever you can do right now. With all that we have going each day, we can get into a habit of having a narrow tunnel vision of what’s in front of us. And we can easily forget that there is a beautiful sky above just waiting for us to slow down and appreciate the view. 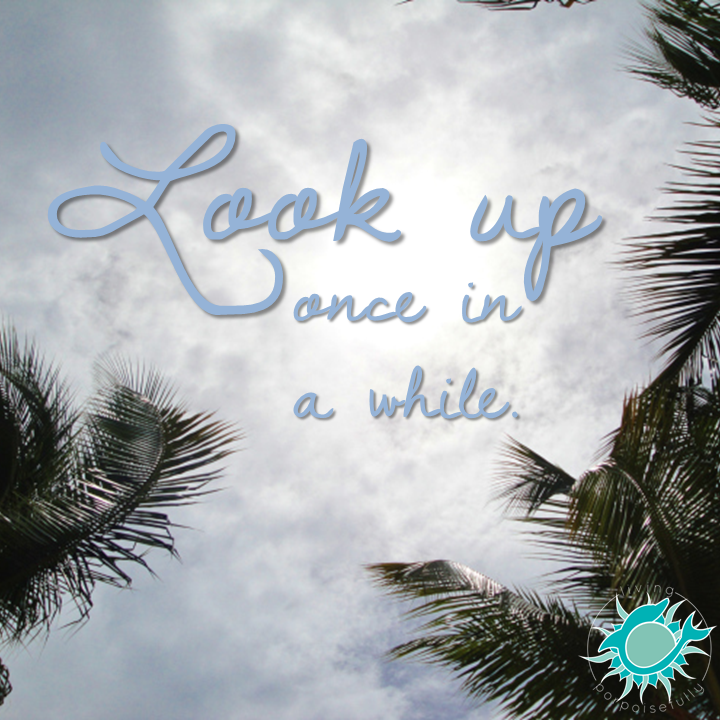 Just the simple act of looking upward to the sky can bring a sense of calm and aliveness in the present moment! It is an immediate stress-reliever, a joyful wave of serenity, and one of the easiest ways to bring mindfulness into your life. Now, make a commitment to practice this simple thing at least once a day and fully take in the sky’s artwork of the moment!